Designed to define Motorsport Garage's point of difference. 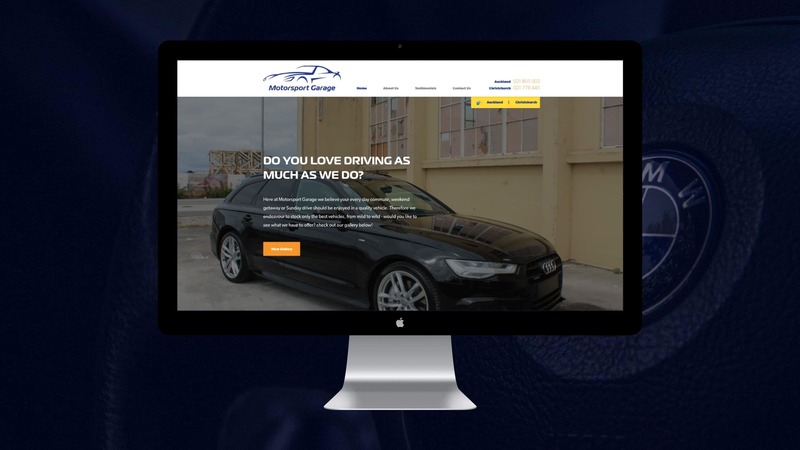 With over 20 years’ experience in the automotive industry, Motorsport Garage was yet to define their point of difference to help them stand out from the masses and attract a larger audience. Fabric used their rich personal and professional history to help set their business apart from the rest. Now, from the get go, you can feel their unwavering passion for the motor vehicle industry through their website. Motorsport Garage’s new website helps prospective customers understand their wealth of experience in the industry. This has been made possible through showcasing a selection of client testimonials to strengthen their brand and increase buyer certainty. Fabric worked hand in hand with them to understand who they are, how they conduct their business and the type of customers they are targeting. 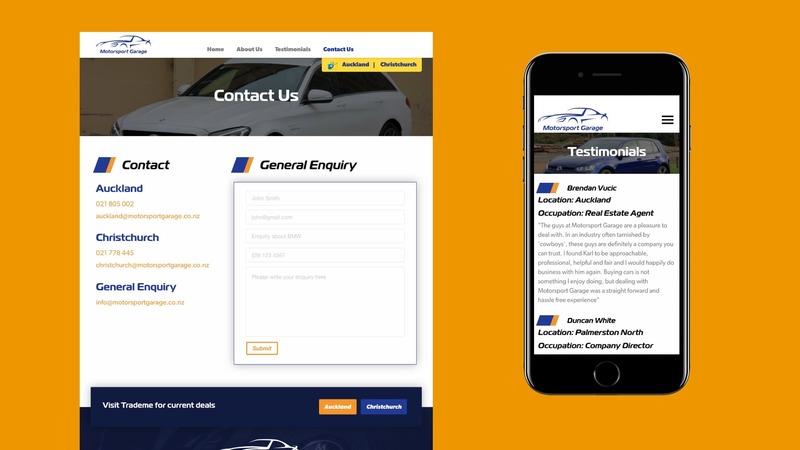 As Motorsport Garage have a massive presence on Trade Me, it was vital that their customers could also find them on Google. Fabric implemented a brand based focused AdWords campaign to ensure that everyone who was searching for them, could find their website with ease.